The PalletPal 360­™ Spring Level Loader is the original, automatic, pallet leveler that makes loading and unloading pallets faster, safer and easier. 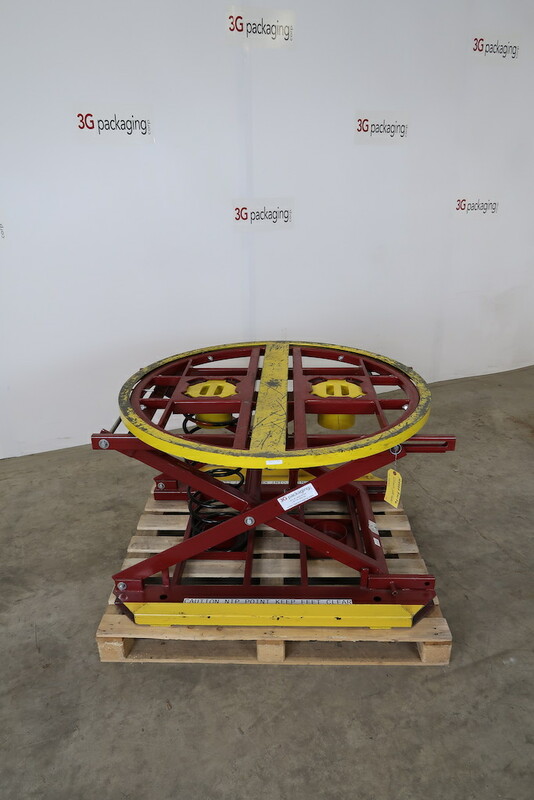 This simple, automatic load leveler uses a system of springs and shock absorbers to lower and raise loads as boxes are added or removed from pallets. Pallet loads up to 4,500 lbs can be easily handled by this spring leveler. Rugged tubular steel frame for loads up to 4,500 lbs. Heavy-duty springs calibrated to bring pallet to most convenient height. Proven linkage design maintains level under uneven loading. Dampener provides smooth, gradual raising and lowering, without overshoot or bounce. Fork pockets for relocation by fork truck also extend base for freestanding stability. Levelling feet (optional) allow use on sloping or uneven floors. Freestanding, can be easily relocated by fork truck.